Since I’m all in on this month of self-care (Gelf-care) and my foot is bothering me now (oy), I decided to take a yoga class. The instructor, Mardi, talked about making space in all areas of your life. Something I am admittedly not good at. I spoke to Apple yesterday for over an hour because all of my computer problems were due to not having enough space. You get the picture, but I want to be better at it. I know how important it is to make room to let things come to you. That’s why I am psyched that I don’t have too many shows this month. I can be home in the evenings and do my best to incorporate some other Gelf-care things like cleaning my place, talking to friends and family and the like. If I don’t call her back within a reasonable amount of time, especially after a holiday like this, I won’t hear the end of it. Her Jewish guilt is on point. I called her to say hi and was relieved to hear no guilty trip. I’d never heard the term “tooth-obsessed” before. Then again, Auntie makes up words all the time like “sabebbled,” which sounds like a Yiddish word, but, in fact, is not. In addition to brushing twice a day, she flosses morning and night, she swigs mouthwash before leaving the house and more. Her dental hygienist told her she’s one of her best patients. For decades, Auntie has been crushing her oral care game. And despite the fact that I’ve worked on brands like Colgate and Oral-B, I have not. “Robin, you’ve gotta take care of your teeth!" she insisted. I know this. After downing an inordinate number of Swedish fish nightly for about two years, even my dental hygienist told me to take it easy. So on the 4th of July 2016, I declared my independence from Swedish fish and haven’t had one since. After that, my hygienist told me how much easier it was to clean my teeth. Was that enough for me to change my habits dramatically? Nope. I continued to eat other sweets, Sour Patch Kids, Twix and the like. Luckily, I’ve been cavity-free since I was a kid. As my conversation with Auntie went on, she mentioned wanting to ride the bike at the gym twice a week. I told her that if she did that, I would floss every night from now on. And finally, she said, “yes” to the challenge. 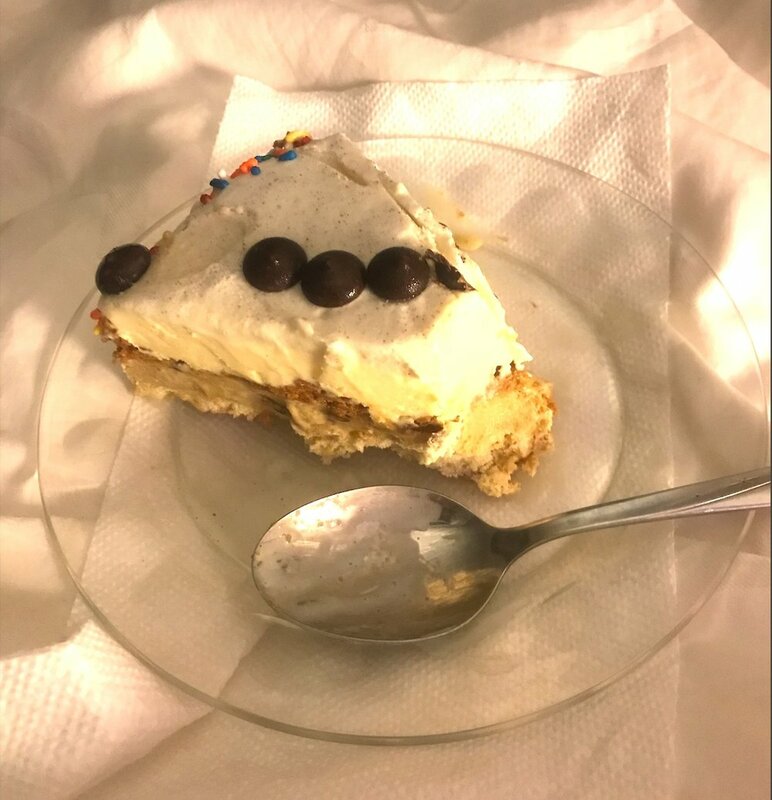 Good things happen when you eat ice cream cake… in bed. We said good night, I ate some leftover ice cream cake (someone’s gotta finish it), did all of my new nightly clean up rituals and went to sleep. And then, this morning I realized I forgot to do the one thing I promised Auntie I would do. Floss. Oy, what a shanda! Are you tooth-obsessed? Do you floss like a boss? Are you crushing it with your nightly self-care routine? Dish it. I want to hear it all. Tell me your stories below.